Home/Knowledge Base/CMS/How to make Magento site display an error message instead of a blank page? 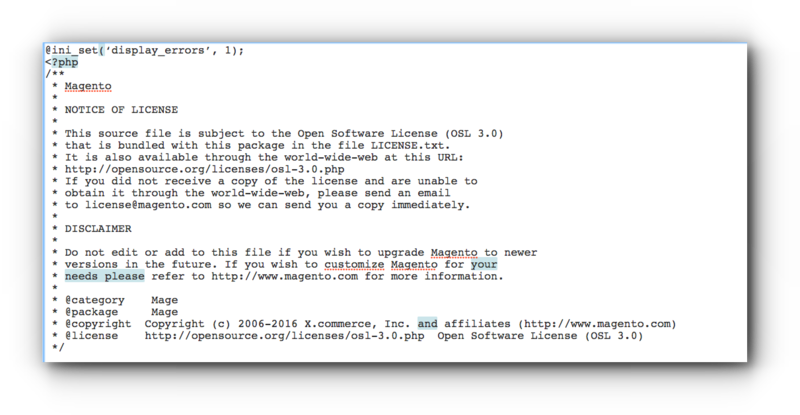 How to make Magento site display an error message instead of a blank page? If you happen to experience seeing a blank page when you access your Magento site, you may add a code that will show a PHP error instead. In this way you can trace what is causing the issue and troubleshoot it further. 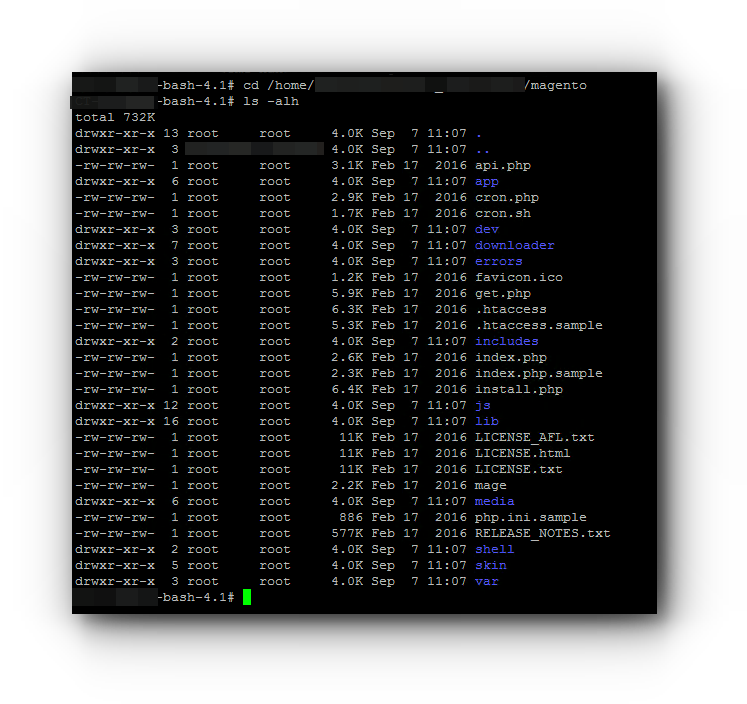 This can be done through SSH, File Manager or FTP. 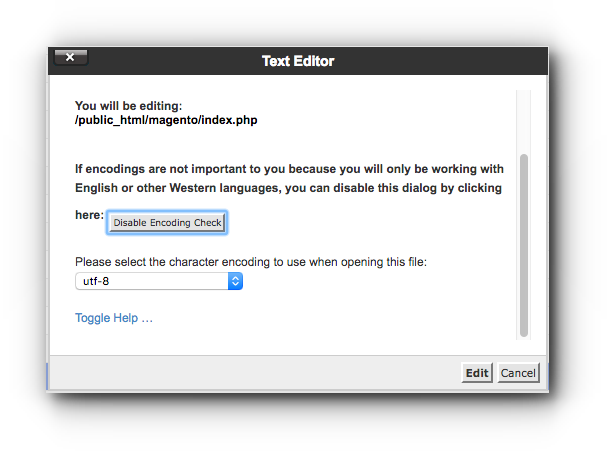 Please be guided by the instructions below on how to make Magento site display an error message instead of a blank page. Step 2. 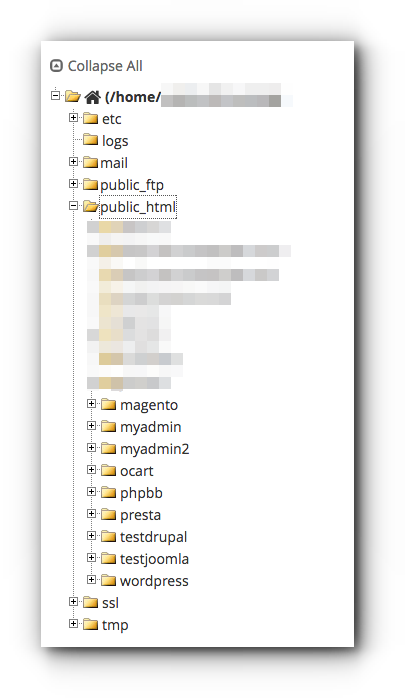 Locate your Magento directory. You need to edit the file and remove the hashtag (#). Proceed to step 5. In case it does not have the comment, proceed to Step 4. Step 5. Save the changes. Step 3. 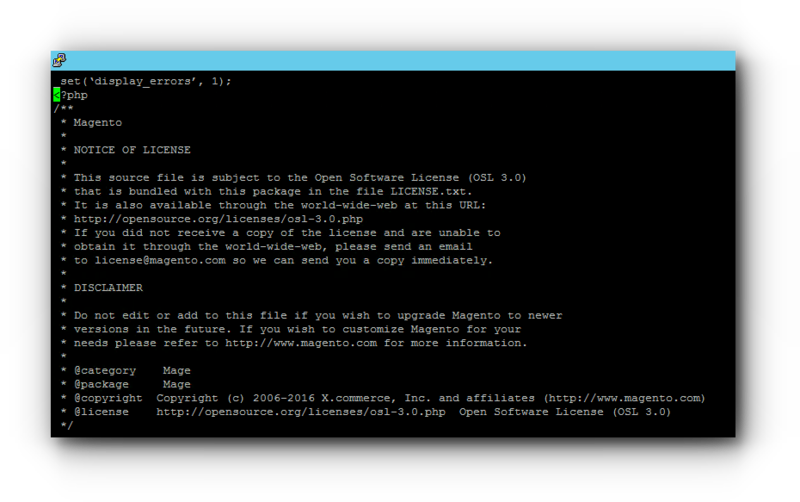 Locate your Magento directory. Step 4. Select index.php and edit the file. Step 6. You will be prompted with a pop up window. Click Edit. Step 8. Click Save Changes button. 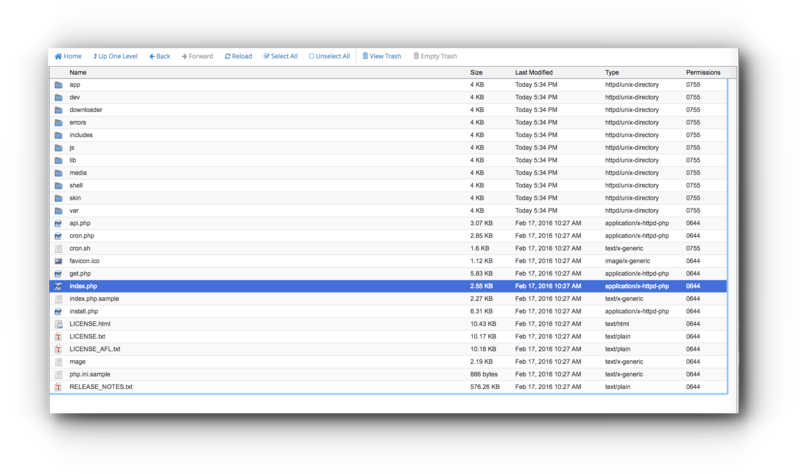 For FTP, this is the same as the steps from the File Manager except that you need to access the file from the FTP Client and not the cPanel.